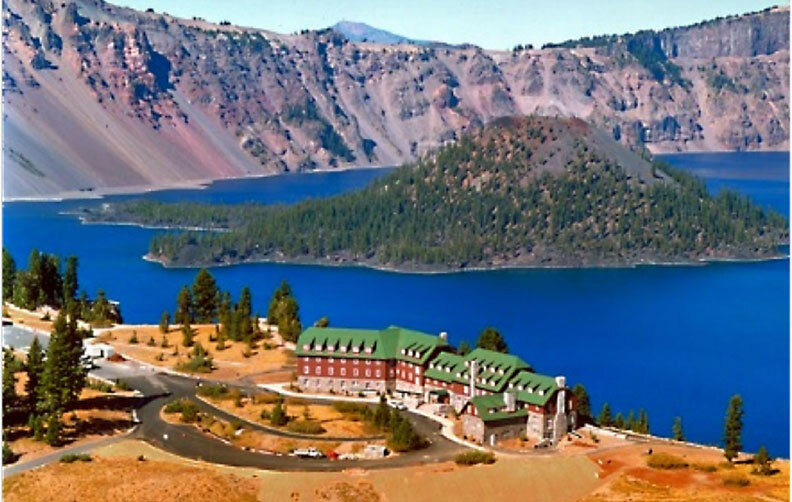 One of Madden Fabrication’s first and most historic projects was the renovation of the historic Crater Lake Lodge at the rim of the famous crystal-clear Crater Lake in south central Oregon. Working with Emerick Construction, the project was done in 2 phases due to the scale and the short building season. Phase 1, at $2.8 million, focsed on the “Great Hall,” centered in the oldest section of the lodge. The area had deteriorated so badly that the middle section had to be completely dismantled, including the stone walls and the giant stone fireplace. The designers worked to maintain a 1925 appearance, although many of the existing timbers were replaced or reinforced with structural steel provided by Madden Fabrication. Large cement foundation walls were poured, and the stone work was reapplied as a veneer. By building 10- to 20-foot cement walls, and adding structural steel, stability was provided for the center section. The remaining two end sections of the lodge—the wings—were connected to the rebuilt center section which helped to stabilize them. The wings were reconstructed during phase two at a cost of $8.9 million. The renovated wings added 71 rooms to the lodge, each room larger than the original rooms, and the entire project took nearly three years.